How Important Is Technology For Children? Both knowingly and unknowingly, children have gotten complete access to various technological gadgets and advancements. From a very early age, parents tend to hand over tablets and mobile phones to their children which automatically make them accustomed to cloud-based technology. Children of today are fully familiarized with using social media websites and next-gen smartphones. There is no denying about the fact that technology plays a major role in the lives of every single human being no matter what age or circumstances. As far as schools and colleges are concerned, digitization has become a norm. Students are no more required to physically roam around the school campus or go after every single teacher throughout the academic years. Technology has provided students with an easy way of assessing important study material and so on. Whether it’s the process of sharing notes or accessing fee vouchers, all important records have been digitized. Besides from school admins and teachers relying heavily on various technological advancements such as digital data sharing, SMS alert service and online exam calculation system, children have also been seen utilizing technology to the fullest. Looking at the current scenario of the education industry, one thing is clear that the online school management system is making administration and schooling much more convenient and effective for children and faculty members of today. 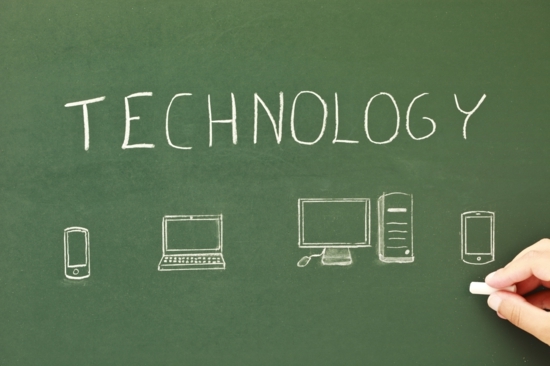 The importance of technology of all kinds has sky rocketed, providing schools and colleges with greater and faster methods of administration. 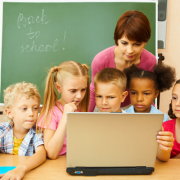 Children of today cannot carry their lesson plans or complete important assignments without using cloud-based technology. The 21st century approach of studying includes utilizing the available technological advancements such as, computer labs, easy data sharing system and learning through eBooks and tablet computers. Procedures may not be able to function as planned when there is little or no technology involved. If we want our children to survive in the highly competitive education industry, we have to make sure they have complete knowledge of every single procedure. It has become very important for us to introduce our children to the next-gen ways of data management. Academic institutes of today are providing schools and colleges with an array of extraordinary facilities making the entire education and administration process much more convenient and effective for everyone. Digitization has improved the learning abilities of children by providing them with interactive methods of studying such as via projector screens, tablet computers and eBooks. Children of today are lucky enough to be getting to choose from various technological advancements resulting in more improved learning abilities. https://www.archivistonline.pk/wp-content/uploads/2016/03/Technology-with-child.png 400 600 admin http://www.archivistonline.pk/wp-content/uploads/2015/02/Archivist-logo-transparency-300x78.png admin2016-03-24 18:50:442016-03-24 18:52:41How Important Is Technology For Children? Immense competition is what the education industry has been experiencing for the past many years making it difficult for small scale schools and colleges to cope up with the changing methods and technologies. This is the point where school admins specially running smaller schools need to come up with improved and enhanced methods of management. Academic institutes of today are required to make sure every piece of information whether academic or financial is recorded in the best way and at the right time. It’s the 21st century and schools and colleges cannot go through various hectic and lengthy procedures especially when the ratio of competition is escalating. In order to improve productivity; it is always good to make sure every single procedure is being maintained in the best way possible. It has become very important for schools and colleges of today to transform their existing methods of administration so that they could be able to run all core departments in the best way possible. Digital school management system can work as a great helping tool allowing school admins to carry all administrative procedures according to the required alterations. Keeping in mind the increasing competition, the decision makers cannot take the risk of going through slow and time consuming methods of administration. Something or someone needs to be changed in order to bring positivity into the school network. Using cloud-based technology into schools and colleges seems to be the only viable solution to help small scale schools survive. Any school admin has to keep track of multiple departments and procedures including, accounts, examination, student affairs, fee collection and so on. All such procedures are very important to any school owner making it very important for him/her to revolutionize the entire school administration system. Academic institutes of today have to go through many slow and intricate methods of administration and the only way to keep track of them is via online school admin system. Many schools and colleges of today are thriving for acceptance across the education industry, but only a few are able to make a name for themselves. According to a recent survey, parents as well as children are more interested in schools that have maintained a tech savvy look rather than those that are still following the chalk and duster approach. The world is progressing fast both scientifically and technologically providing schools and colleges of today with a million different options to benefit from. No one likes to opt for the traditional methods of administration and one of the main reasons for that are the slow and unproductive results. It has become very important for school admins of today to make sure everything is up to the mark. Online school management system is providing academic institutes of today to not only improve student productivity, but make sure everything else goes according to the requirements as well. Digitization seems to be the best way to make sure everything functions accordingly. 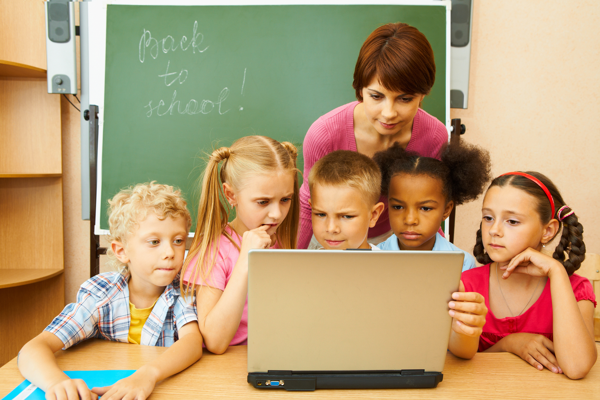 It not only helps automate all departments, but also allows children to learn better and generate productive results.